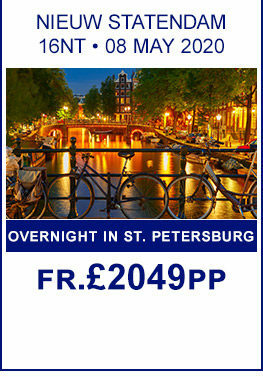 Unleash the explorer in you and embark on a cruise to the Baltic Sea. From the awe inspiring grace of Scandinavian architecture to the natural splendour of Norway's Fjords you will discover a history and way of life like no other. With so many sights to behold and indulge in; the best way to experience this region is on a cruise. 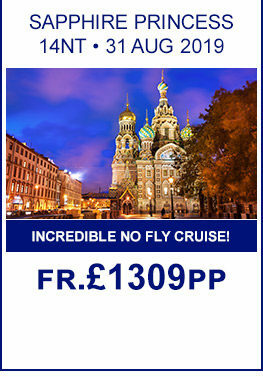 Overnight In St Petersburg , No service charges on all P&O sailings from May 2019! 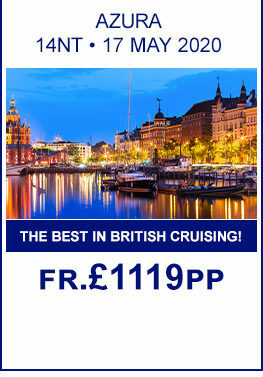 *SAVE in Fred Olsen’s Summer Sale "Special Reductions on Selected Sailings" , Smaller ship - No Crowds - No Stress! Situated where Lake Malaren meets the Baltic Sea, Stockholm is steeped in ancient history and culture, with cobblestone streets lined with beautiful buildings. Why not relax and sip a coffee in one of the trendy street cafes or indulge in a spot of shopping. Take the time to enjoy art galleries, antique shops and the many museums in Stockholm. Tallin, one of the oldest cities on the Baltic Sea is a capital to suit any traveller's taste filled with parks, museums, hotels and cafes. Call at scenic ports such as Flam, a destination of natural beauty, peace and harmony. Stavanger, a very pretty and vibrant town with an international atmosphere blended with the city's own charm; and Bergen with its rugged glacial scenery. 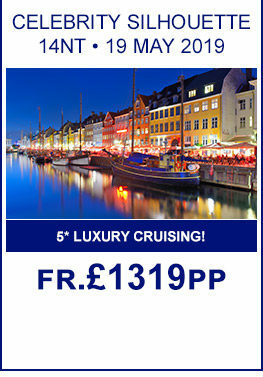 Then by night sail serenely through the famously beautiful Fjords. The best time to cruise to the Baltics is June and July when the days are longer, although the main season actually runs from May to September when the weather is dry and the temperatures are moderate to warm.